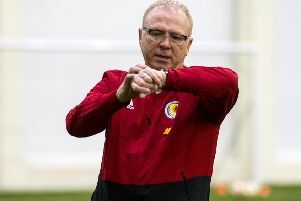 Scotland national football team manager Alex McLeish is reportedly facing the sack after a disastrous start to Euro 2020 qualifying saw the team humbled by the world no.117 Kazakhstan before a lacklustre 2-0 win over lowest-ranked nation San Marino. The former Hibs, Rangers and Birmingham boss is understood to be on the brink with the Tartan Army booing the team off the pitch in Serravalle. What’s his record like so far? McLeish has taken charge of 12 games; winning 5 and losing 7, giving him a win rate of 41.7 per cent. Scotland have scored 13 goals (plus one own goal) and have conceded 18. 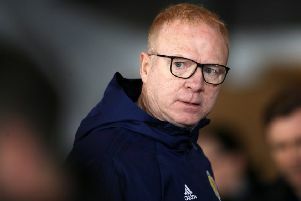 Under McLeish’s tenure, Scotland have beaten Albania (twice) and Israel in the Nations League; Hungary in a friendly and San Marino in Euro 2020 qualifying. Celtic winger James Forrest is the top-scorer of McLeish’s second spell in charge with five goals while currently injured Hearts forward Steven Naismith has scored twice. Scotland are currently ranked 40th in the world - the lowest-ranked of all the “home” nations. England are fifth, Wales 19th, the Republic of Ireland 34th and Northern Ireland 36th. When McLeish took the reins, Scotland were joint-31st with the Republic of Ireland. What teams have Scotland faced under McLeish? Scotland have played friendly or “International Challenge” matches against Costa Rica, Mexico, Peru, Hungary, Belgium and Portugal; Nations League games against Israel and Albania (both twice) and Euro 2020 qualifiers against Kazakhstan and San Marino. How many players has he used? McLeish has given game time to a total of 46 players. Goalkeepers (5): Jordan Archer, Scott Bain, Craig Gordon, Allan McGregor, Jon McLaughlin. Defenders (13): David Bates, Barry Douglas, Grant Hanley, Jack Hendry, Scott McKenna, Charlie Mulgrew, Stephen O’Donnell, Liam Palmer, Andy Robertson, Graeme Shinnie, John Souttar, Lewis Stevenson, Kieran Tierney. Midfielders (19): Stuart Armstrong, Oliver Burke, Chris Cadden, Thomas Cairney, Ryan Christie, James Forrest, Ryan Fraser, Ryan Jack, Gary Mackay-Steven, Kevin McDonald, Dylan McGeouch, John McGinn, Callum McGregor, Kenny McLean, Scott McTominay, Lewis Morgan, Jamie Murphy, Matt Ritchie, Robert Snodgrass. Strikers (9): Jason Cummings, Steven Fletcher, Leigh Griffiths, Oli McBurnie, Marc McNulty, Steven Naismith, Callum Paterson, Matt Phillips, Johnny Russell. What games are coming up? Scotland face Cyprus on June 8, Russia on September 6, Belgium on September 9, San Marino on October 13, Cyrpus on November 16 and Kazakhstan on November 19. The Scots will participate in the Euro 2020 play-offs in March 2020 as a result of their performance in the Nations League.